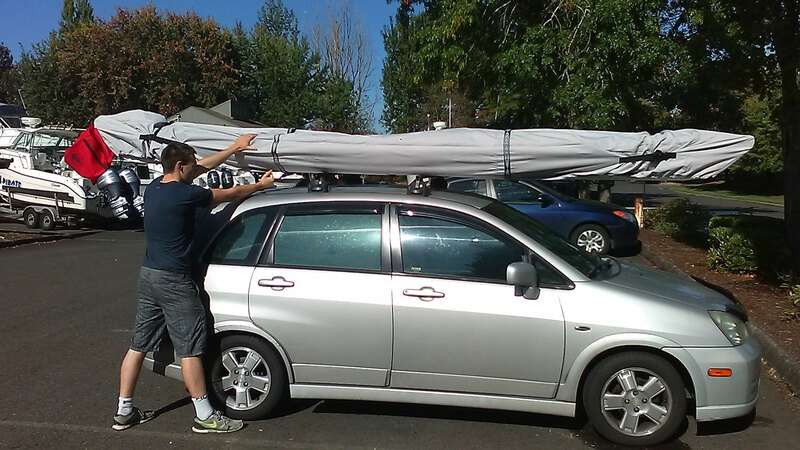 Paddlers are travelers and so are our covers. 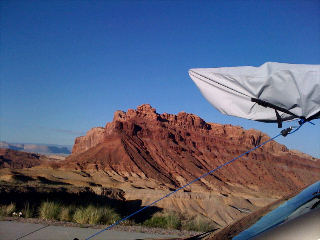 If you are on the road and have your camera handy, show us how you use your Danuu covers! We will post it here and share with the world! 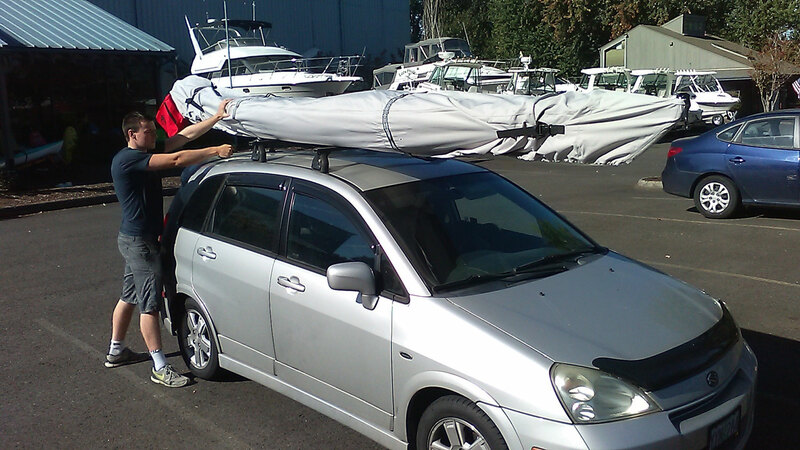 From a happy customer in Oregon, ready to take Danuu on the road! Jennifer took this shot of her covers after a big storm came through. Thanks to a Danuu customer for sharing these pictures on Facebook! 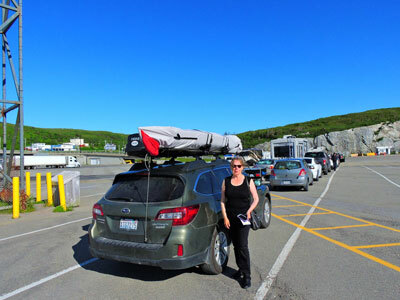 Bonnie and I completed a "little drive" to L'Anse Aux Meadows, the 1,000 year-old Viking site on the northern tip of Newfoundland and back from our home on Vashon Island, WA. Attached are some pics from notable points, Waterton Park, Quebec City, Ferry from Newfoundland to Nova Scotia. 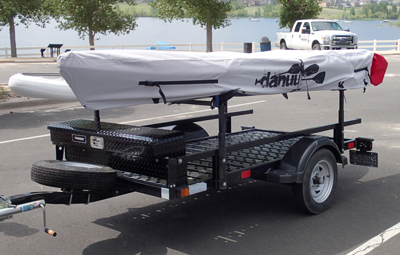 The trip was 57 days and 12,368 miles of pure satisfaction with our Danuu Brat kayak cover. We found that the red bag was a great place to store extra line from the stern tie down. 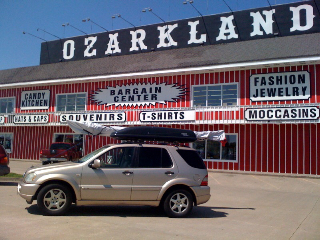 I found that an extra strap at the bow end of the bag kept it from billowing at 65mph on the highway. The bag performed really well, and took all the bugs the Midwest US could throw at it! Looking forward to our next bags, as we go up a size in our kayaks this year. Nate Adams tells us how his...Cover arrived quickly from the good folks at ACK. The fit of the "Brat" is perfect on my Jackson Cuda 12....like it's a custom cover. 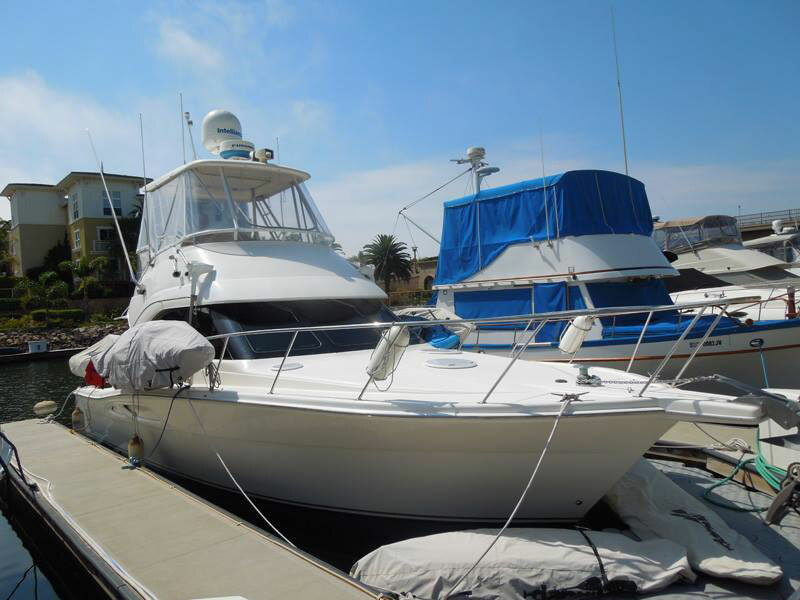 Just bought my GF a WS Tarpon 120 last Sunday so we will be ordering another cover for her boat. Thanks for making a great product. 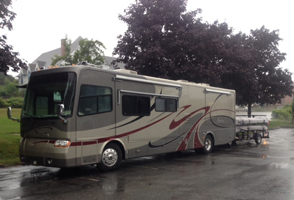 Steve Ambrose tells us that his covers just completed a 3,885 mile round trip and performed great! 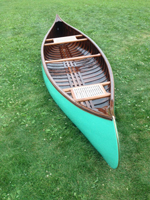 The first is of the wood and canvas canoe that I finished building during the summer of 2005, and the second is of it covered with the Danuu cover that I bought for it sometime that same year. 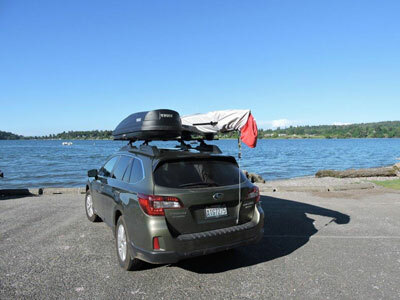 I've had it all over the state of Washington, plus on several trips that ventured into British Columbia, Idaho, and Oregon. As you can see, it doesn't have any rips, tread pulls or weakened seams. Other than the breakage of some of the buckles, about the only other thing that seems to have changed, is that I can't seem to fold it tight enough to get it into its red "flag bag" any more. Of course, I'm getting older too, so maybe it is just me getting weaker. In summary, the cover has been fantastic - more than I could have hoped. It has protected the canoe perfectly. Also, I think the "flag bag" has prevented being rear-ended by inattentive drivers more than once. 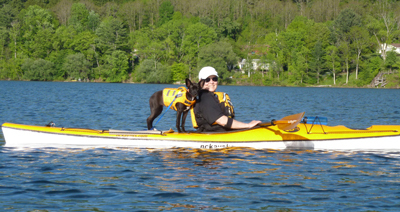 Jon Sairs of Sail Your Kayak loves to take his toys and just had to share this pic! 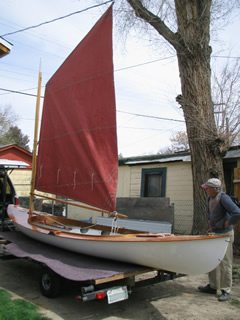 The kayaks are 14' long Swifts. 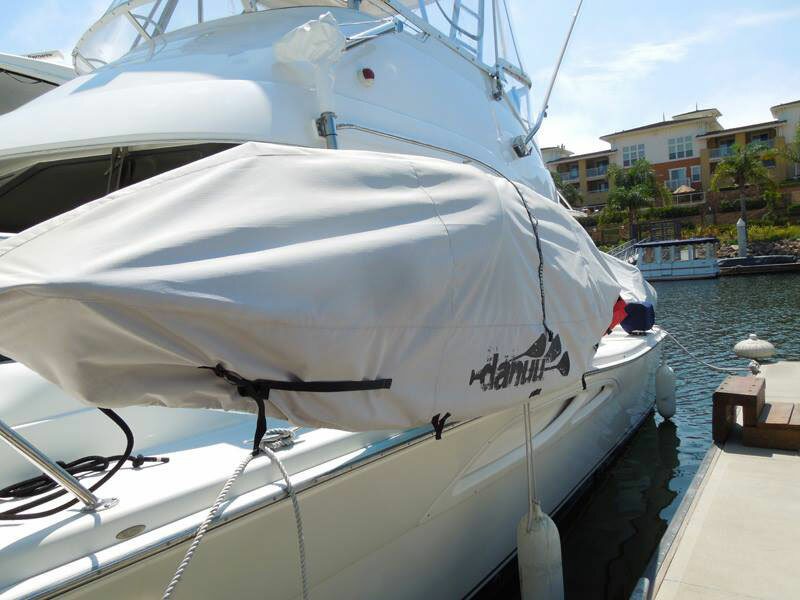 I ran the bow and stern straps through the space between the cover and the drawstring and was able to tighten the cover reasonably well. Because the covers could not be cinched quite as tightly with the bow and stern stern straps, as they could without, air caused some ballooning of one the covers on the initial leg of our trip. 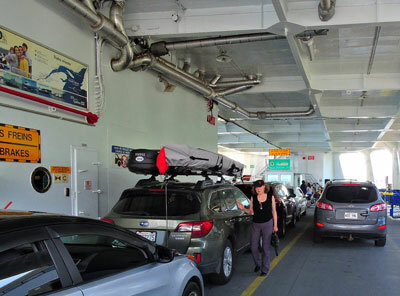 However, with some experimentation,I found that running bungee cords through the extra loops on the bottom of the cover and hooking the bungees to each other, or the rack, enabled a good tight fit on the boats prevented the issue for the remainder of our travels. She adds: Pippi is my rescue dog and is about 8 months old, here. She prefers to stand on the back of my sea kayak versus riding the the overly large cockpit of my friend's boat. Picture is taken on Otsego Lake, NY. 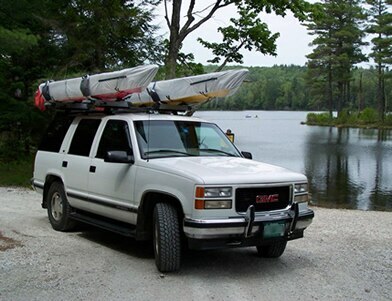 A couple of years ago we forwarded a picture of our Danuu clad kayaks atop a white Yukon which you published in the Roadpic section of Danuu.com . Aging bodies have now made it necessary to seek an easier loading method so we have moved to a converted Sure-Trac utility trailer topped with a Thule Xsporter pickup rack. 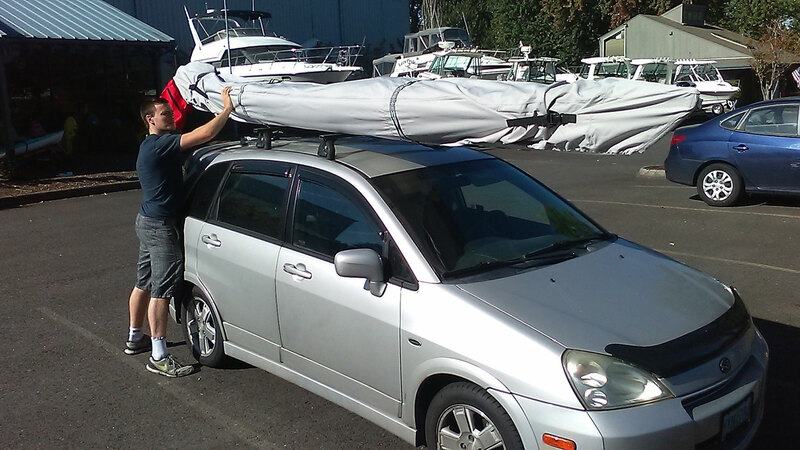 Loading one end of our Native Watercraft Ultimates at a time should prove much easier than the car top method. No matter the method of transport we are pleased to report that our Danuu covers continue in service. 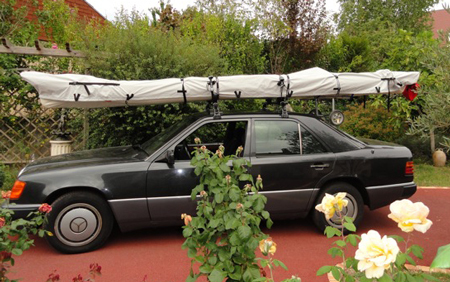 Francois Cardinaud shows us that the French can paddle in style! All the way from France comes this picture of dedicated paddlers - ready to go at any time! This shot give us a great shot of the v-loops along the side of the cover. 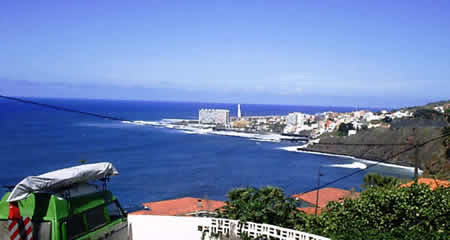 Ruskin sent us this great shot of his adventure in Tenerife, Canary Islands. Here is Danuu Cover allows him to ride around with his Portuguese SIPRE MURANO under covers out of the sun and wind when he is not riding it! Imagine seeing this Monster machine on the road!! Robert Siddall knows where and when to have fun! 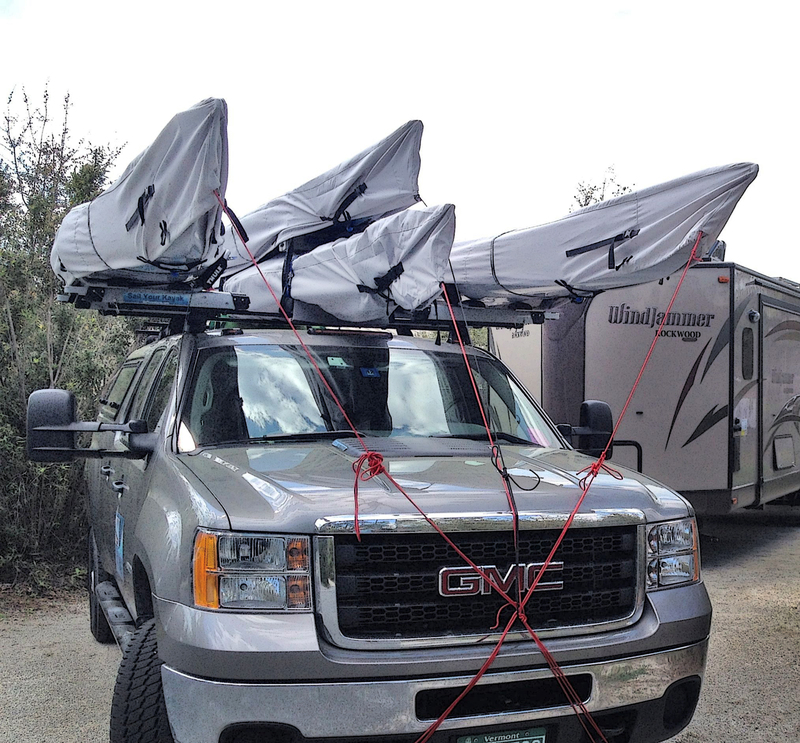 Here he is at Tunnel Mountain Campground in Banff Park with Danuu Covers keeping his rigs (kayaks) ready! 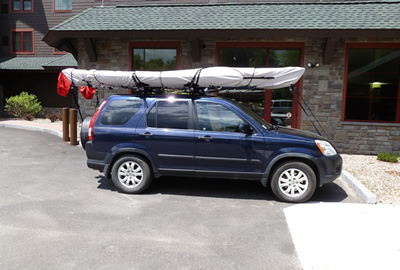 Today we took our maiden voyage with our new 12 and 14.5 Native Watercraft Ultimate kayaks at Lowell Lake State Park in Londonderry, Vermont which is a whooping 8 miles from our doorstep. Although the trip was short the Danuu Covers performed perfectly. 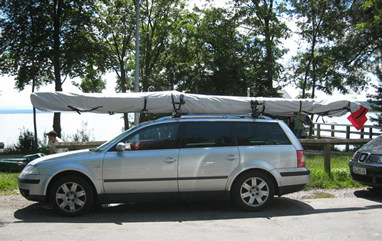 In fact on the return trip we did not cover the kayaks because they were wet and we found that uncovered there was more wind noise than when we traveled with the Danuu covers on the boats. The picture is just after our arrival at the Lake and we’re sure you can tell from the view why we love this Green Mountain State of Vermont. 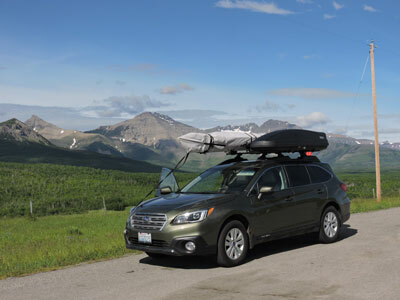 This is Mark and Kristi from Park City Utah; proud owners of 4 Danuu covers. We were looking through your site and found this picture that we had sent summer 2010. To respond to the request on your site, the trip went well. This trip was in the spring of 2008. 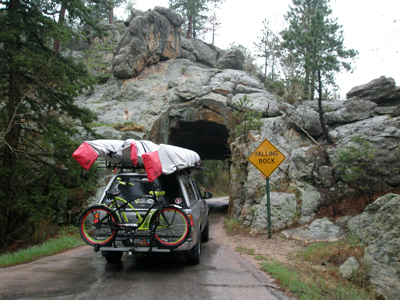 We were on the Needles Highway through the Black Hills of western South Dakota on our way from Utah to the Northwoods of Wisconsin and Michigan. 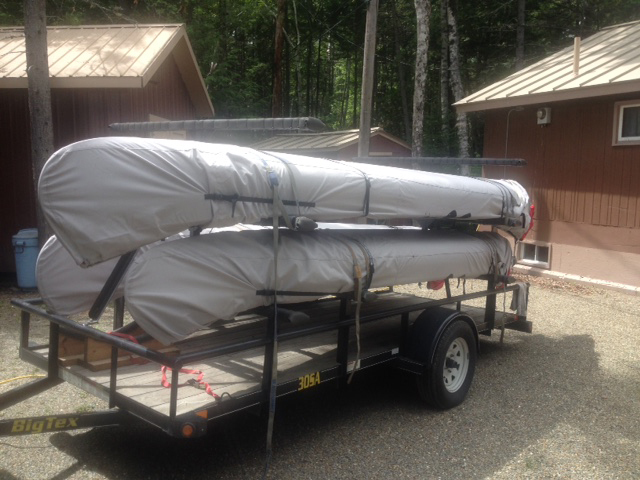 We now own a little hideaway cottage in Northern Michigan and make this trip twice a year, always with at least one boat on the roof, and always with your excellent covers protecting them. Thanks for posting our picture and again, thank you for making such great products. 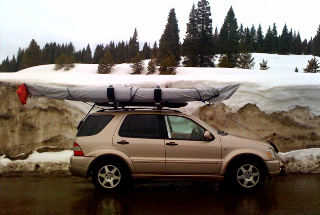 Bruce bought this 18', double ended rowboat but had to trailer it through some of the nastiest weather Colorado, Utah and Nevada has seen in years. A Danuu Cover became his friend when they all reached home safe and in good condition! 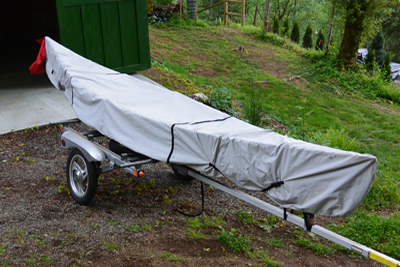 Here is his boat on the trailer. I had your cover up to 100mph yesterday and it handled great. I'll give you a full critique when I have time to sit down. Overall, I am very pleased with the cover and your customer service. 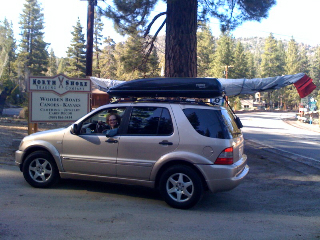 Corey sent us this photo of how he travels - ready to paddle anytime! Even with kayak on top he gets 40 miles to the gallon! Dave just loves that his new Jeep takes him where he wants to go, road or not! Taking all his toys is no problem, either. 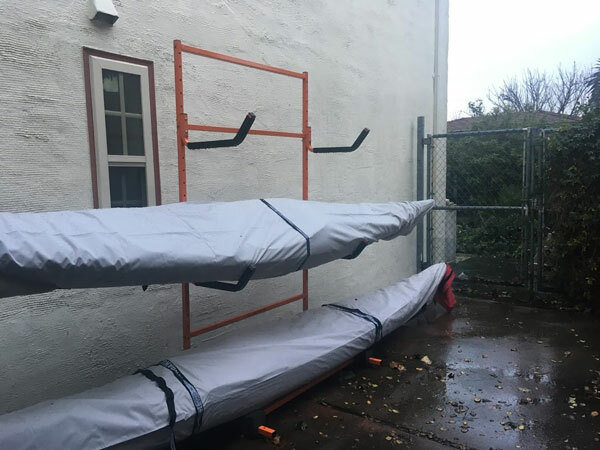 Danuu Covers are there, too, protecting his kayak till the white water calls! 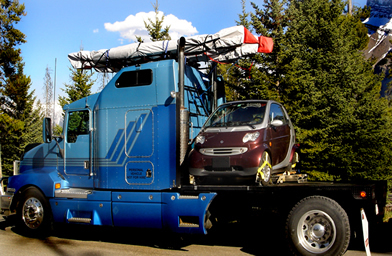 North Trading sent us these shots from a customer that was moving across country! 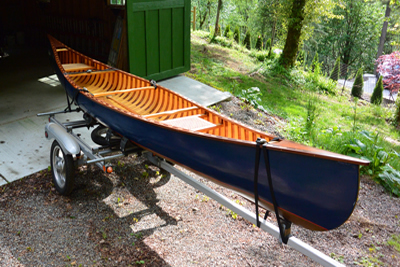 Remember when your kayak was new? Well Gary wants to keep his looking new. 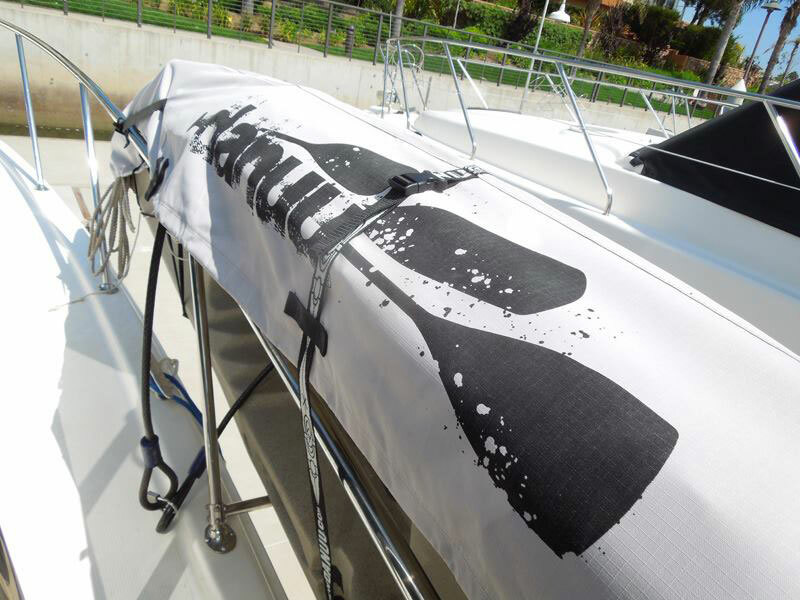 With a Danuu cover and keeping in the living room he is guaranteed to keep that boat in mint condition. 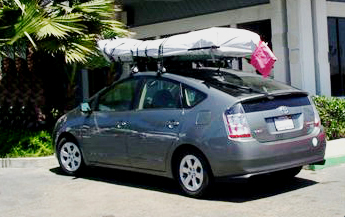 Actually, Gary writes "My kayak has been 'dry-docked' in my living room since I took delivery of her. Maybe next month I'll be able to get her floated up at Silverwood for the maiden voyage!" 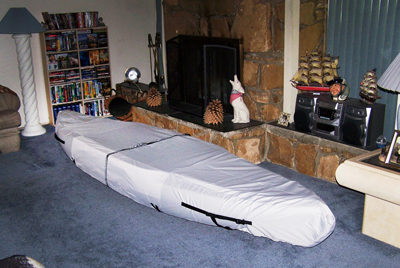 We are sure that this is the last picture you'll ever see of that boat in the living room! 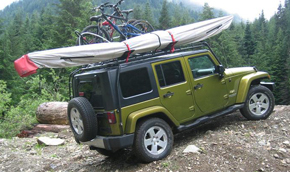 While this may not be a classic "On the Road" shot, we know that this kayak is on its way to many miles of paddling.